Minotaur is a powerful tank with amazing durability. 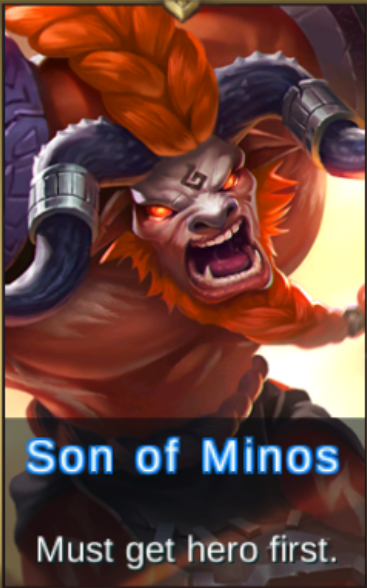 Use him against crowds of minions and path clearing for your own. 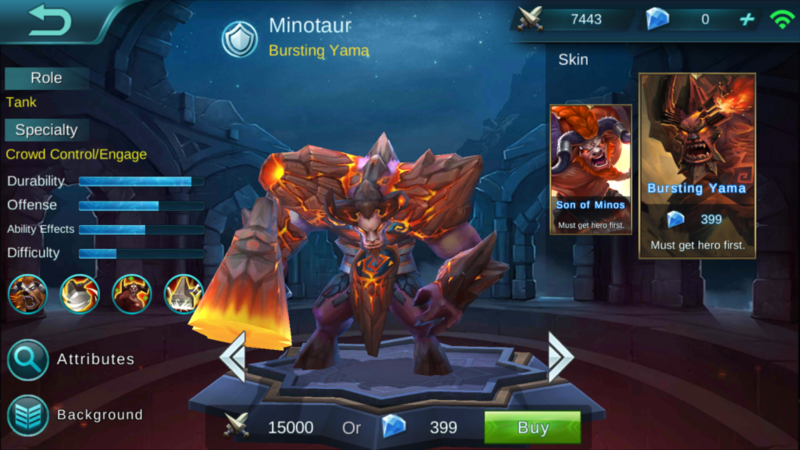 Description: When abilities or basic attacks hit enemies, Minotaur will become more enraged. 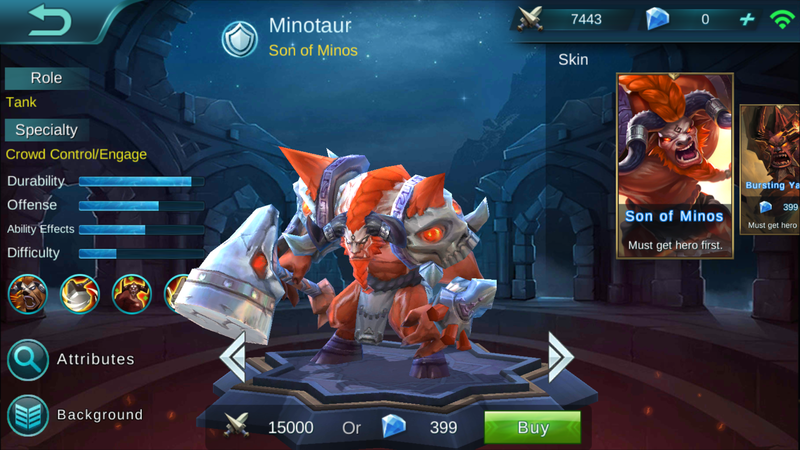 When Rage is full, Minotaur will enter Rage Mode and receive extra armor and magic resist (effects increase with level), as well as extra effects for his abilities. When Rage Mode subsides, Mintoaur will be unable to build up Rage for a time. 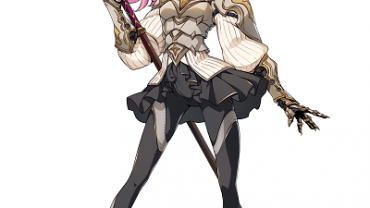 Description: Wields a warhammer and deals 330 physical damage to enemies within melee range in front of him, also lowering their movement speed 65%. If in Rage Mode, attack range will expand greatly. Description: Encourages himself and surrounding allies, regening 340 HP for himself and giving allies 50% healing. If in Rage Mode, a Rage Regen effect will be activated for 2, allowing him to regen HP after taking damage. Description: Strikes the ground 3 times in a row, causing shock waves that deal 360 physical damage to nearby enemies as well as 180 true damage. Also lowers target movement speed 50%. If in Rage Mode, his striking speed will increase and enemies will be knocked airborne.